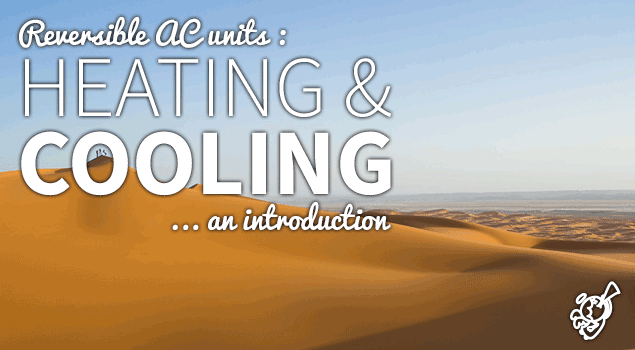 Heating and cooling : spend a cool summer and a warm winter with air conditioning • The Air Geeks, reviews of air conditioners, dehumidifiers and air purifiers. We live in a wonderful time when our house can really be a lovely cocoon of well-being. A great many devices have been created for this, including, of course, the reversible air conditioner, for heating and cooling. Indeed, with air conditioning you can stay cool in summer and warm up in winter. Let’s zoom in on this device, which is well worth a closer look. The first thing that sets the reversible air conditioner apart from others is the price. It’s a very affordable device, whether you go for an entry-level model or one with more advanced options. You’ll probably save money by opting for a reversible single-unit air conditioner, versus one element for heating, and one element for cooling. Heating and cooling in a snap! In addition to being affordable, reversible air conditioners are generating hassle-free and are easy to maintain from day to day. Indeed, it generally takes a quick wipe with a cloth made of natural fibers to clean it, and in terms of deep cleaning, you can do this yourself, just once a year. You can also move the unit into any room you want, because the mobile reversible air conditioner is fitted with wheels and a carrying handle. 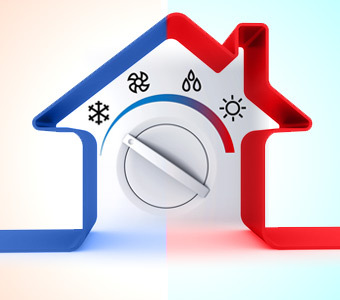 So, in summer and winter, you can be comfortable at home, both for heating and cooling. In addition to providing a breath of fresh air during the summer and generating heat in the cold snaps, the mobile air conditioning unit remains a discreet part of your interior, especially for compact models. Placed next to a cabinet in the corner of a room or near a window, the compact and sleek design of the unit will only enhance your overall home decor. It positively brightens up any room in the house. Moreover, there is a wide selection of reversible air conditioners on the market so you can find one that fits your budget, your needs and your décor. Although reversible mobile air conditioning can not heat the whole house in winter or cool every room in summer, it’s really effective for smaller rooms. In addition, there is a very wide range of mobile reversible air conditioners on the market to suit everyone.